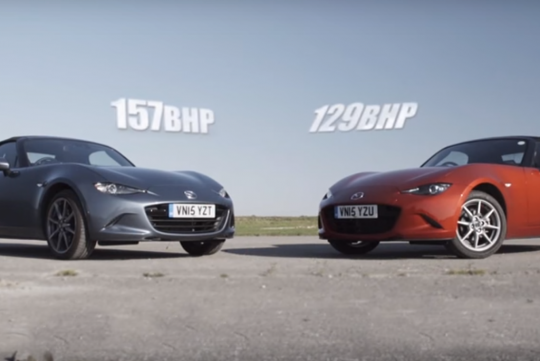 If you are deciding which engine (the base 1.5-litre or the 2.0-litre), your new Mazda MX-5 should have, Auto Express has the answer for you in this video. With the range-topping 2.0-litre having 28 more horses, the difference between the 1.5-litre and the 2.0-litre should be pretty noticeable on the track in terms of lap times. But is the extra speed worth it considering the widespread belief in the media around the world that the smaller-engined 1.5-litre is the better driver's car? Watch the video and see for yourself!